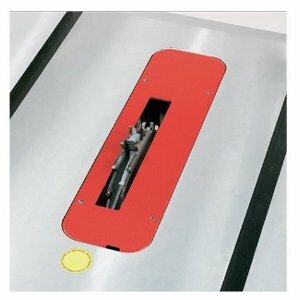 If you have a Bosch 4100 or Bosch 4100-09 table saw, and you would like to use a dado set, you will need to get this dado insert – the Bosch TS1007 Dado Insert. It’s cheap, it fits and it works. 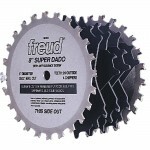 You may have heard that it’s not possible to use to a 3/4″ dado blade with this insert, but that is not true. 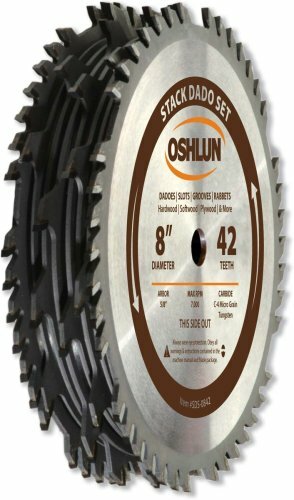 Some purchasers of the TS1007 dado insert install it on the table saw and then find that a 3/4″ or 13/16″ dado blade makes contact with the inside opening of the insert! Don’t worry though. Why? Even though the instructions that come with this insert don’t explain how to fit a dado set that is wider, such as 3/4″, it can be done. And it’s actually pretty easy. It’s funny they didn’t mention this in the instructions, actually. Remove both of the washers, and then use the outer washer on the inner part of the arbor shaft. Then add the lock nut. You won’t need to use an outer washer for a dado stack. Or at least most of the time for wider dado stacks there will be no room for the extra washer, and it doesn’t matter if it’s used or not. The original product description at Amazon says that this insert is made out of plastic, but it’s actually been switched to metal. This makes it a higher quality version of the original plastic model. If you order this and get a plastic version, we’d like to know, but it seems like everybody is now getting a metal version. This is good! 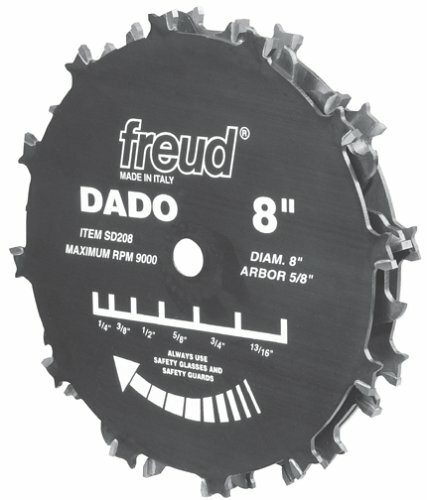 We recommend buying this dado insert from Amazon. They have a slick ordering process and lots of personal reviews if you want to read more about this item. And their prices are quite often the best around too.